You have arrived if you have been scouring the Internet looking for a Juno Beach, Florida marine electric resource. Kasper Electrical has been serving people in this area since 1978, and we greatly value the relationships that we have built in this small but beautiful Palm Beach County community. Of course, many people in this beachside town enjoy boating. If you make your living on the water, or if you simply like to go out on your boat when you have some spare time, you should certainly connect with a reliable marine electric resource. 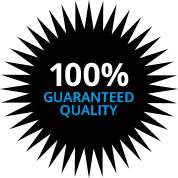 We are the ideal partner because we can provide just about anything that you could ever want or need under one roof. 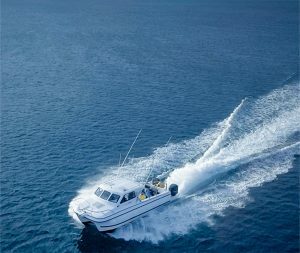 When it comes to marine electronics, we can install autopilots, fish finders, radar, remote monitoring and security systems, audio and visual systems, Internet and satellite communications solutions, and Wi-Fi and cell boosters. We also specialize in the installation of shore power systems, and we have you covered whenever you need batteries or a charging system. Of course, as a comprehensive, full-service Juno Beach, Florida marine electric resource, lighting is an area of specialization for our company. We work with LED lighting, navigation lighting, and underwater lighting, so you will never be left in the dark when you make a connection with Kasper Electrical. As we touched upon in the opening, we have been assisting people in this area for right around four decades at this point. That’s quite a run, and we have been able to attain this level of longevity because of the way that our customers feel about our marine electric services. We genuinely care about people who live in Palm Beach County, because we are locals as well, and we enjoy helping our neighbors make the most of their boating experiences. Of course, we also take a lot of pride in the assistance that we provide to professionals who use marine vessels to make a living. The work that we do as marine electric technicians is our stock in trade, but we also endeavor to provide world class customer service from the first point of contact onward. If you would like to discuss your needs with one of our Juno Beach, FL marine electric specialists, we can be reached by phone at 561-845-1660.